Pizzeria Vetri (PV) is all about celebrating the art of authentic pizza making through the best quality ingredients with simple preparations. 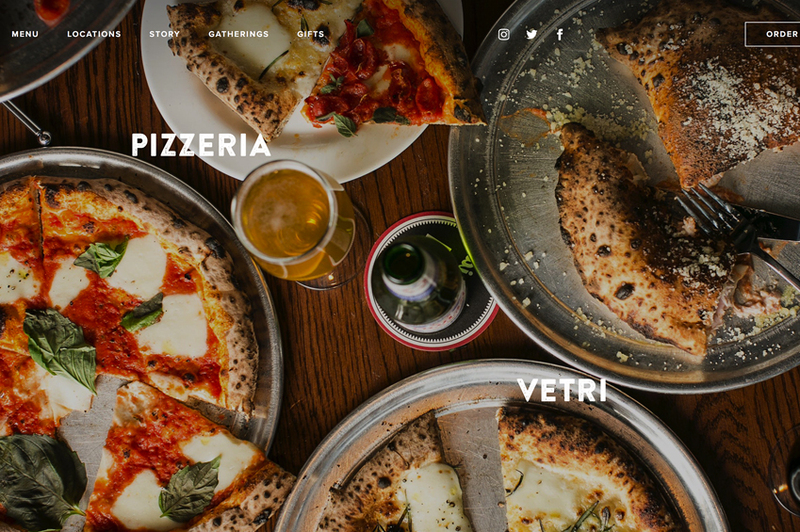 And now, with a brand new site redesign, PizzeriaVetri.com tells its story in an even more compelling way. The recently revamped site is broken into the following sections: Menu, Locations, Story, Gatherings and Gifts. You can also find more information about Pizzeria Vetri’s news, events and spaces on the homepage. The “Story” section gives visitors more details about how their pizza is authentically made and you can also follow @PizzeriaVetri for additional food facts, recipes, and menu updates. This section also introduces you to the founders and features staff members, specific open positions and job listings. Anyone interested in catering or having a pizza truck for an event, can visit the “Gatherings” section. One of the most exciting new features is the ability to order food simply by clicking on the “Order Now” icon at the top right corner of the site.